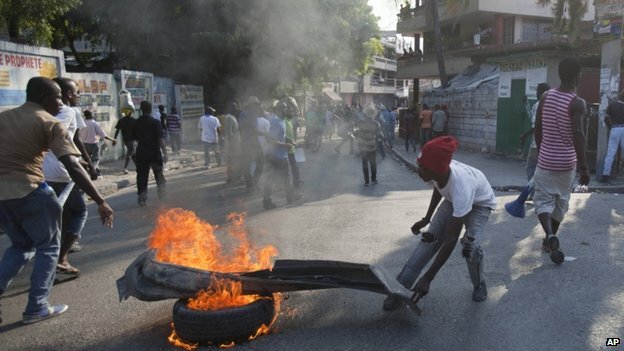 Haiti has installed a Provisional Electoral Council to organise long-delayed elections – after weeks of protests and political uncertainty. The nine-member panel represents different sectors of society. It was sworn in shortly before a UN Security Council delegation arrived on a three-day mission. 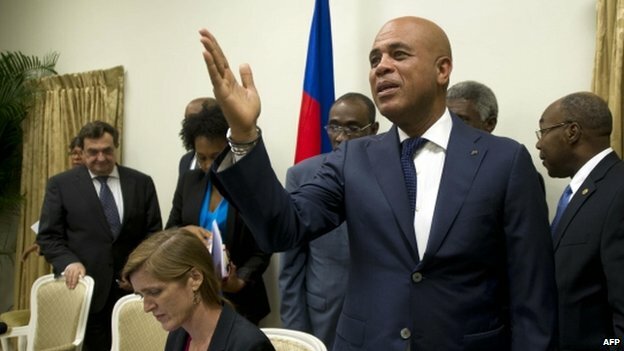 General and municipal polls are three years overdue, and President Michel Martelly began ruling by decree last week when parliament was dissolved. The dissolution followed a failure to elect new MPs in the impoverished Caribbean nation. “It’s a new step for the country on the road to democracy,” Prime Minister Evans Paul said after the swearing-in ceremony in the capital Port-au-Prince. “Democracy does not work without elections,” he added. Meanwhile, anti-government demonstrators again took to the streets of the capital to demand the resignation of President Martelly, accusing him of trying to be a dictator and dragging his feet on elections. Mr Martelly denies the accusations. Earlier this week, Haiti’s new government was sworn in. The president praised the “pluralism” at the centre of the new cabinet and said it was down to the “goodwill” of the opposition. But opposition leaders accuse the president of failing to deliver on forming a consensus government. Mr Martelly has been in power since 2011 and has pledged not to change the constitution to seek a second term. His opponents accuse him of using the current crisis to promote his own candidate to succeed him in elections later this year. Haiti remains heavily dependent on US financial aid. It is the poorest nation in the western hemisphere and is still recovering from a devastating earthquake in January 2010, in which large parts of the capital were destroyed.